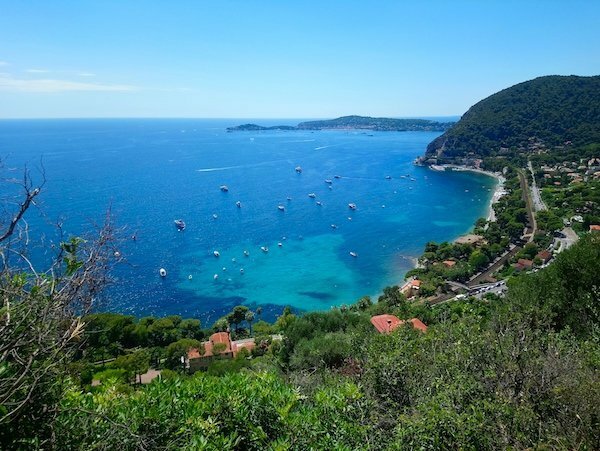 If you are looking for the best Instagram spots on the Cote d’Azur to make your feed look amazing and your friends jealous, we’ve got you covered. I met a friend the other day who had friends in town from Norway. The topic of my travel blog came up, and they were telling me about things they wished they had known before coming to Nice. One of those was the best Instagram spots in Nice. I kind of had to laugh. This whole area is so beautiful I didn’t think someone would need a list of where to go. But, there you have it. I’ve put together a list of 20 of the best Instagram spots in Nice and the French Riviera that are sure to impress. Whatever you do, don’t leave your selfie stick at home. You might want it. If you’re in the market for a new camera check out this Canon Eos bundle here. And a Quadcopter drone will be your best buddy if you want to get some great footage as your drone follows you. Be sure to follow all regulations for flying drones. If you want some additional reading you might be interested in these books on Provence and the French Riviera. One of the best views over Nice comes from on top of Castle Hill. You can see the whole Promenade des Anglais out to the airport, the port and the City of Nice. Go to the Coulee Verte in Nice near Place Massena and position yourself among the dancing waters. Everyone, young and old, stops there to play in the water. Go later in the day when the sun is going down and you’ll have some magnificent photos of the water jets with the sun behind you. Eze village is a perched village only 20 minutes by bus from Nice. It’s a small town with lots of Instagrammable spots wherever you look. 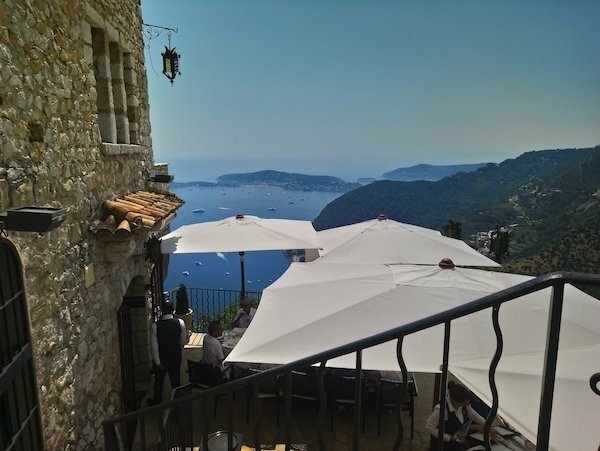 Find a cool restaurant with a view of the ultra luxury Cap Ferrat behind you. You can shoot this view every night and get something different. 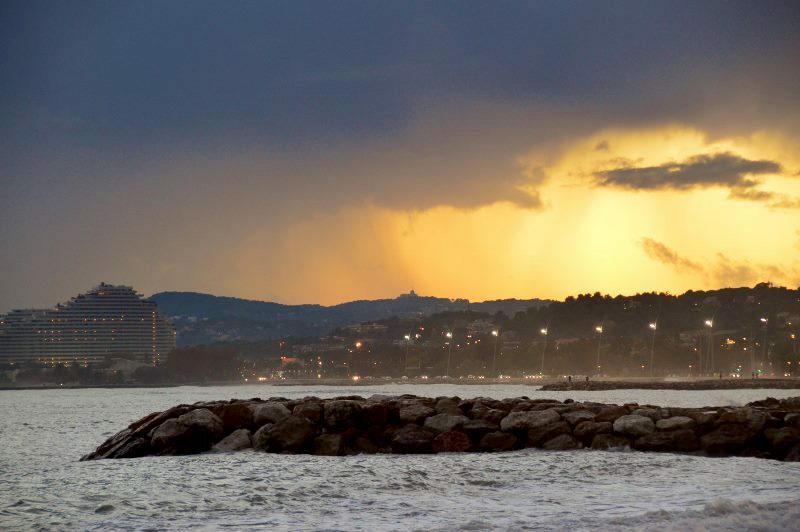 The sunsets on the Cote d’Azur are magnificent and they are even better if we have a bit of rain forecast. Here you can see the apartment building in the background that’s shaped like a sailboat – the Marina Baie des Anges in Villeneuve Loubet. You can even book a room there. As you walk toward Villefrance you’ll come across La Reserve Restaurant that has a boat-shaped terrace hanging out in the water. You can go out there and have a drink meanwhile someone snaps your photo from the road. Lovely place to chill and watch the sun go down, and so very chic. REMINDERS: Nice has a pebble/rocky beach and it’s not easy to walk on. Don’t forget to bring aqua socks with you to get in and out of the water. 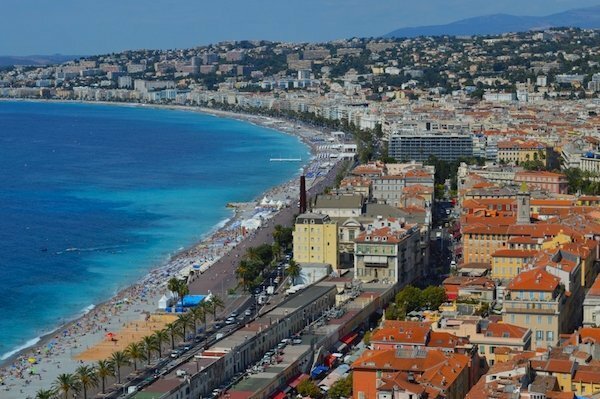 There are a few sandy beaches along this stretch, but not in Nice. At least you aren’t cleaning the sand out of your clothing. Darling, you’ll impress everyone with a shot of St Tropez and various yachts from the water. They don’t even need to know you were on a tour boat. 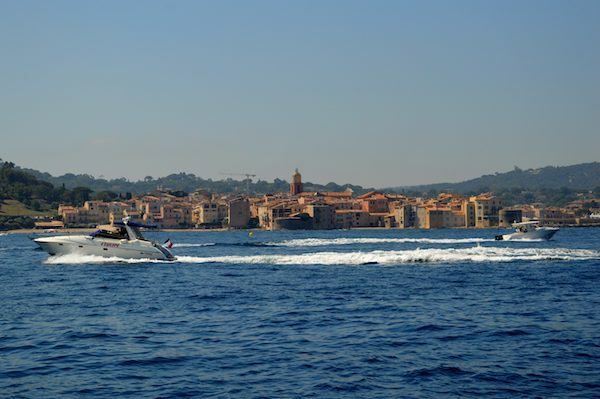 Every Instagram feed needs a shot of the Cote d’Azur from the water if you’ve been here. 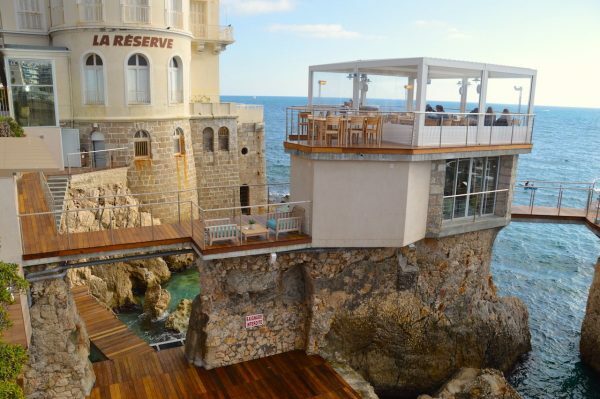 You can’t miss an Instagram shot from the Cafe de Paris in Monaco. 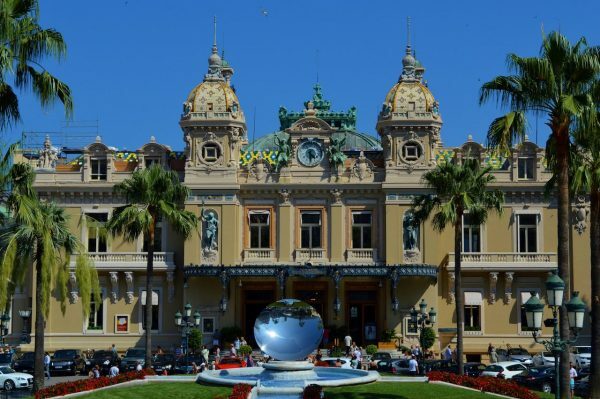 The Monte-Carlo Casino is in the background and this is thee place to be seen in Monaco. You can also take pictures with a Lamborghini or Ferrari parked out front of the casino. 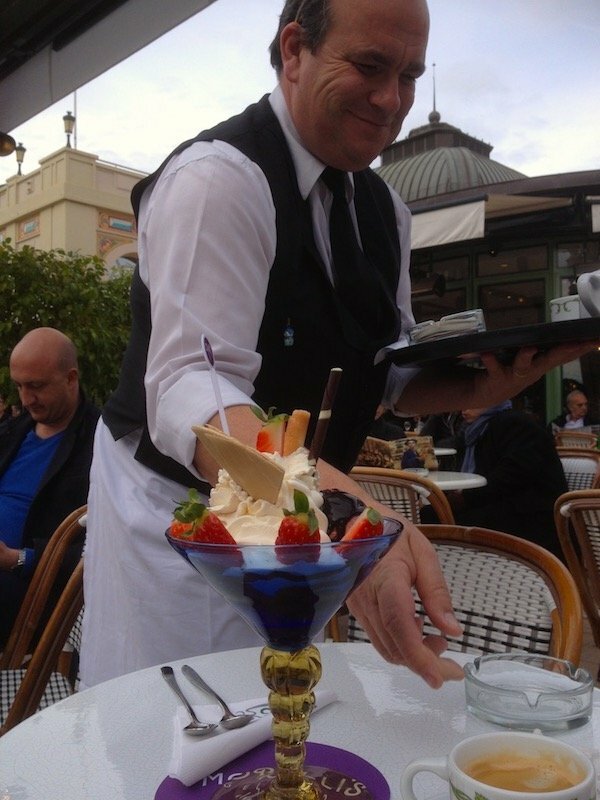 And of course you need to have a big ice cream sundae, and a smiling, chubby French waiter. 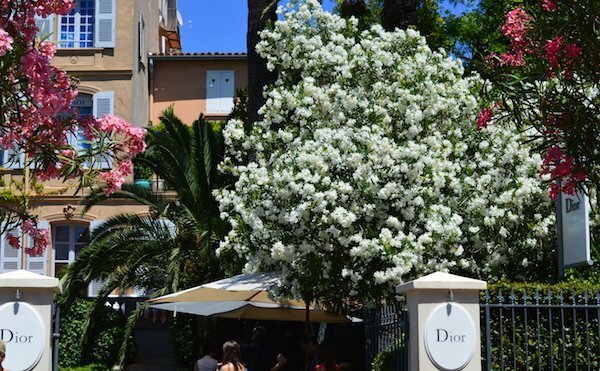 Of course you are shopping for the best of the best, and you need to stop at none other than Dior in St Tropez. The exterior is just beautiful depending on the time of year and everyone will wonder what you bought. Beg, borrow or steal if you have to! But you have to be standing on the front of a gorgeous yacht looking back at your friends. You know, just casually out for the day. Nothing says ‘envy’ more than your friends imagining you out on a yacht for a day frolicking in the Mediterranean. 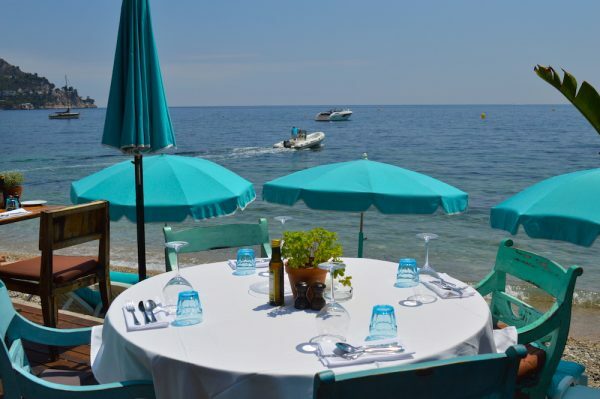 There are a few beachfront restaurants in Eze-sur-mer and Anjuna Plage is one of them. It’s said that Bono from the group, U2, is a part owner of this place, but that may just be hearsay. He does, however, have a home near the restaurant. You’ll be rubbing elbows with the ‘beautiful people’ here, and bumping and grinding to a DJ late in the evenings. Open from April through October. 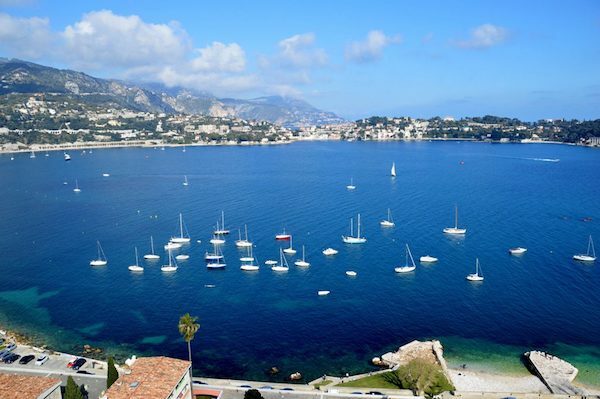 The peninsula of Saint-Jean-Cap-Ferrat has some of the most expensive real estate in the world. It’s called the Peninsula of Billionaires and was the ‘sometimes home’ to King Léopold II of Belgium, actors David Niven and Charlie Chaplin, politicians and generals such as Winston Churchill and Charles de Gaulle. There are some spectacular homes if you want to take a snoop around. 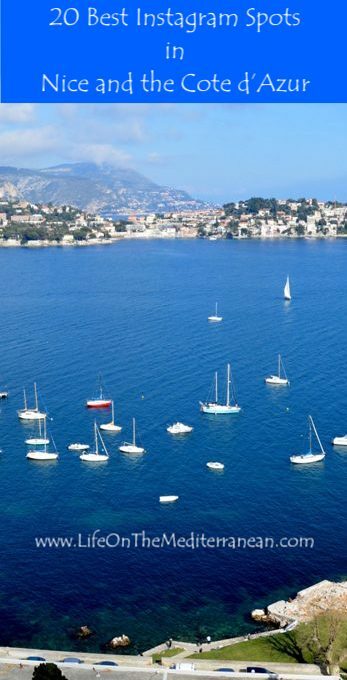 Otherwise, you can admire it from Villefranche-sur-mer. From Nice, you can take a local bus to the village of La Turbie, which is great for a wander around and lunch. 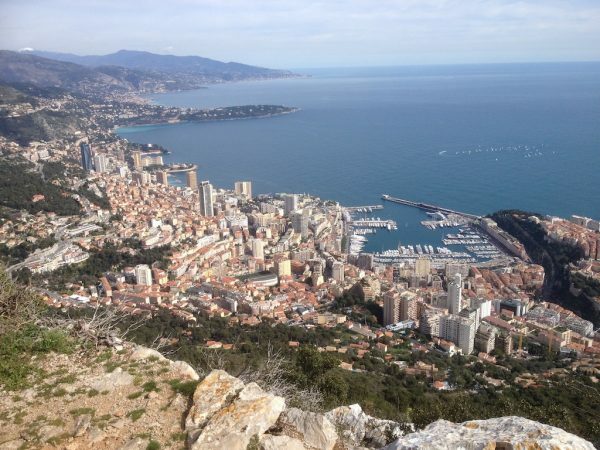 But you have one of the best views over Monaco from the hiking trail that goes from La Turbie down to Monaco. Some stretches are a bit scary, but the vantage point over Monaco is amazing. 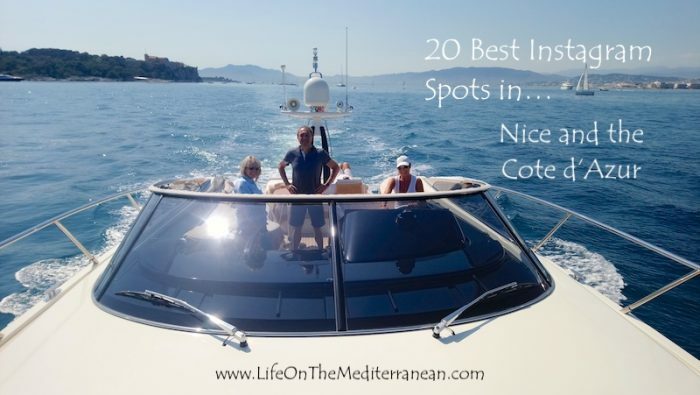 You can learn how to navigate this solar-powered SeaZen in Beaulieu from the owner. You go out for the day and learn all the tricks of the trade on this quiet boat that takes you past David Nevin’s house and the whole bay of Beaulieu. Your friends will think you’re living like a local. 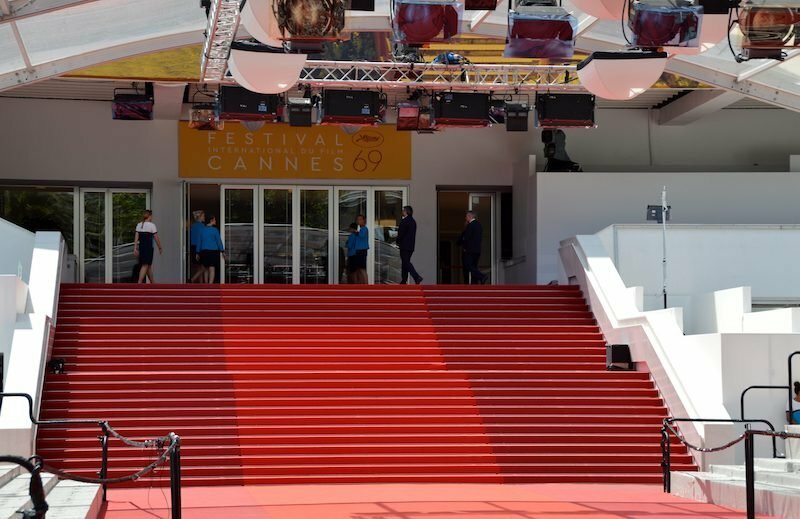 If you happen to be around for the Cannes Film Festival in May, you can take some photos on the Red Carpet when it’s not busy. Every dog and their brother does this and you may even run into someone famous. Either that, or you walk the famous Promenade de la Croisette in Cannes and take photos there. 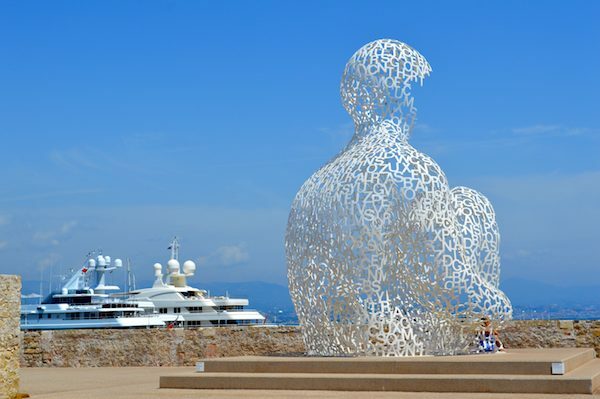 This structure is at the water’s edge in Antibes, and is very cool to wonder around and in. It’s hollow on the inside so you can go in and get some cool photos near this famous landmark in Antibes. Plus you get the yachts in the background. Cultured and chic at the same time. 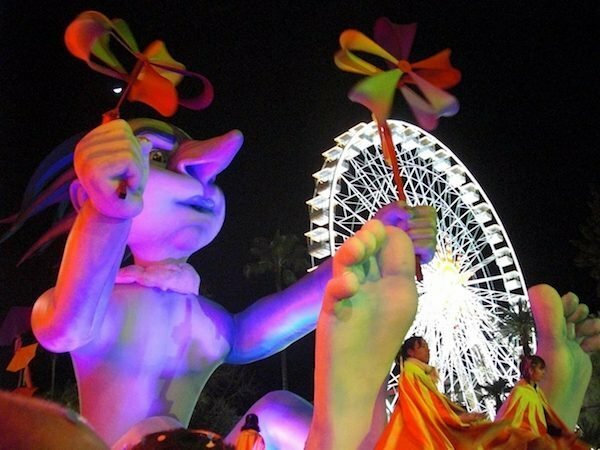 Every February, Nice celebrates Carnaval with several parades per week. You can get quite close to the floats and snap a cool photo of yourself in front of the float with the ferris wheel behind you. 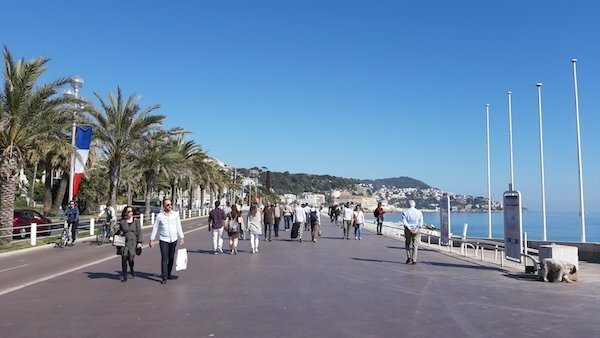 Whether you are spending a weekend in Nice or longer, chances are you will happen upon the famous strolling path, the Promenade des Anglais. The view of the city and the Mediterranean from here are spectacular, especially when the water is an amazing crystal turquoise, which is often! The Casino, baby! You can’t come all this way and not stop by the famous Monte-Carlo casino for a photo. There have been so many movies shot there and so many celebrities have graced those stairs. You can go inside and take a photo of yourself in front of the Casino sign. Be sure to bring your passport/ID cuz you’ll probably need it. The Nietzsche Path from Eze Village down to Eze-sur-mer is such a stunning walk with beautiful views toward Cap Ferrat. There are numerous places on the trail you can stop for a break and take some spectacular photos. Then once you get down to the sea, you’ll find Anjuna Restaurant that I’ve mentioned above. 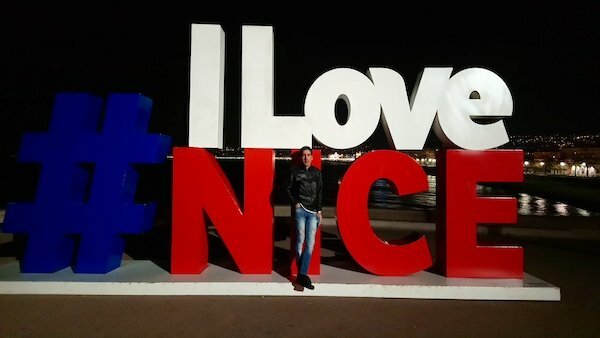 Because you do… A few years ago, the city installed an I Love Nice sign on the Promenade going toward the port. Everyone stops there day and night to climb this structure. Some people are quite creative with how they position themselves. Give it a try. 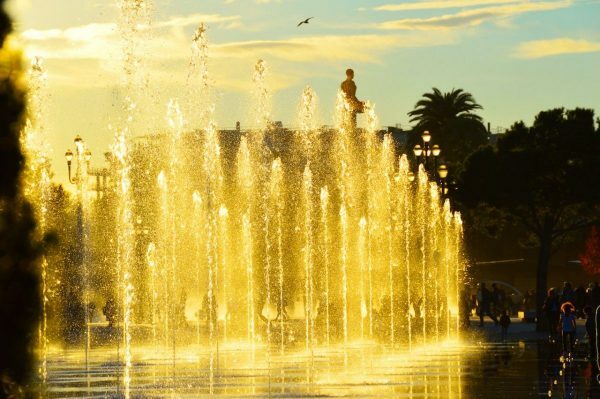 Hopefully this will give you some ideas of the best Instagram spots in Nice and the Cote d’Azur. Send me your ideas and I will add them to the list.